We are offering All Gear Head Lathe Machines. Banka machine comparison - . We are engaged in manufacturing All Geared Head Heavy Duty Lathe Machine ranging from 6ft' to 40 ft. having centre height from 200mm to 1000mm. we also manufacture machines as per customer's specifications. 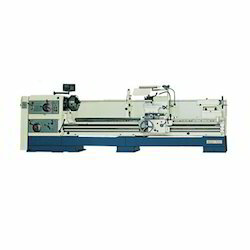 We specialize in offering Gear Head Lathe Machine in customized configurations, as per clients specifications. Aimed at prosperous growth in this domain, we are instrumental in offering an excellent quality range of Semi Gear Head Lathe Machine.